Dr Rebecca Coll, a postdoc from the Inflammasome Lab, has been awarded the prestigous Research Australia Discovery Award for 2016, at the Research Australia Health and Medical Research Awards ceremony in Sydney. 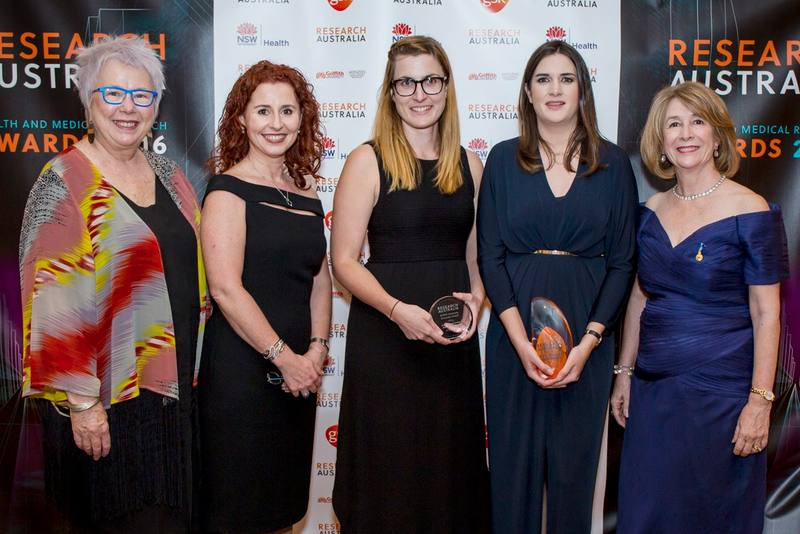 The Research Australia Discovery Award recognises an early career researcher (no more than five years post-PhD) whose discovery has already demonstrated its importance or impact. 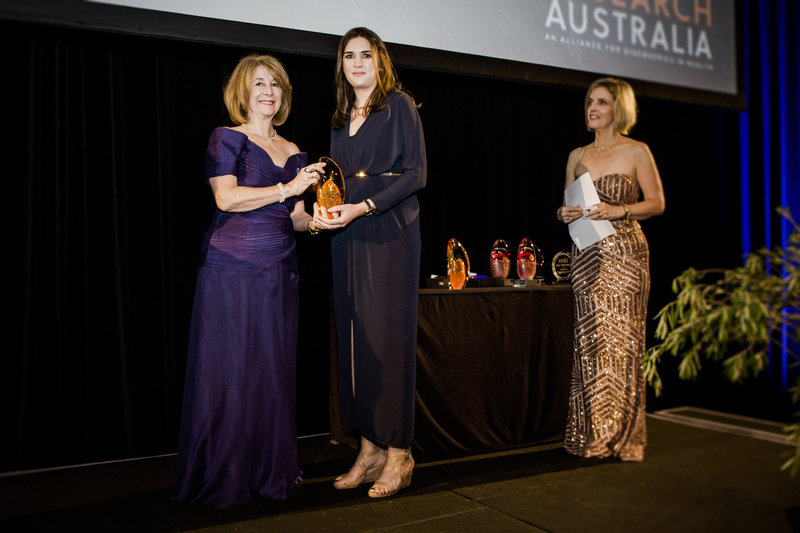 Professor Jennifer Stow, IMB Deputy Director (Research) said, "We would like to congratulate Rebecca on this outstanding achievement, and thank her for doing IMB proud on the stage at the Research Australia awards dinner." Rebecca received the award for her discovery of promising anti-inflammatory compounds that block the NLRP3 inflammasome. She hopes that these compounds will be used to treat patients with inflammatory disease. To tackle this growing health problem, Rebecca and Dr Kate Schroder and their colleagues at Trinity College Dublin have coupled their basic research with drug discovery and development to learn more about how to tackle inflammation.